Neighborhoods can be building blocks towards achieving prosperity. The proposal reflects the green development philosophy outlined in The Rwanda National Strategy on Climate Change and Low Carbon Development, a strategic development vision completed last year. 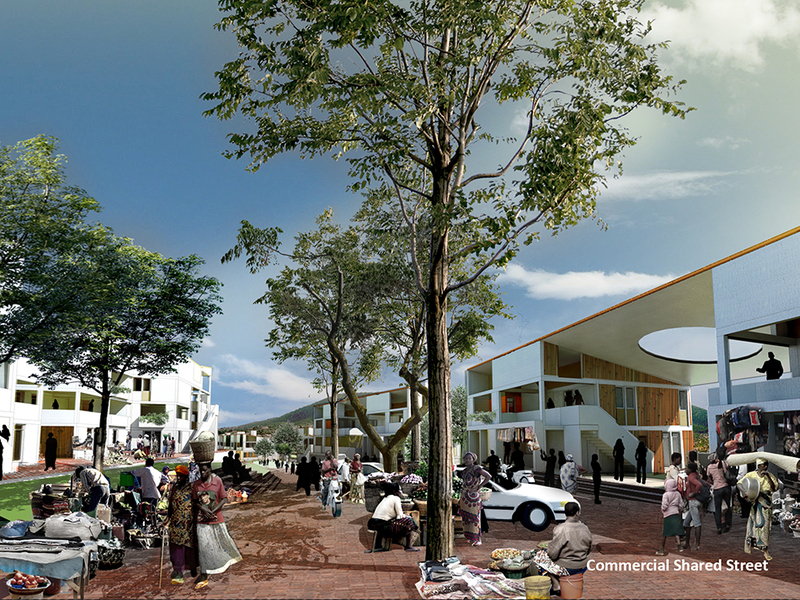 While government constructs core site and building services necessary for the minimum stage of habitation, the proposal’s generative principles promote increasing complexity among local social, ecological and economic systems. Generative principles emphasize sustainability, resiliency, flexibility, and net energy production in the evolution of 21st century living environments―all addressing new notions of prosperity and security in a lower-energy future.